The 5×5 system is a simple forex AND binary options strategy, which makes use of only two indicators. This reduces the number of charts and the rules are simpler to keep track of. Once you are comfortable with the system, you could even look at adding in another rule or indicator without causing a lot of confusion for yourself. The 5×5 system uses an RSI and an SMA indicators, both of these set to run on period five. This strategy can be altered a little to work with binary trading as well. Create a chart using the two indicators 5 RSI and 5 SMA (smoothed moving average) and set a 50 horizontal line on the RSA only. Use it for monitoring a currency on a daily chart. The candle for the day must cross below or above the 5 SMA. Once the candle closes, wait for the next candle (on a daily chart this will be the next day) and wait for the movement to be 10 pips or more above or below the previous day’s high/low. When looking at calls, you would only enter if the RSI is above the 50 line or under the 50 line for put options. For a call option: Watch the daily candle for a cross above the indicator 5 SMA and then close. 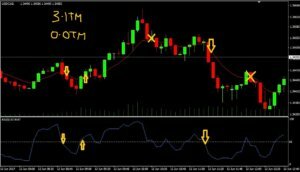 On the following day, the candle needs to be at least 10 pips or more above the high of the previous day and the RSI needs to be above 50, then you can enter. For put option: Watch the daily candle for a cross below the indicator 5 SMA and then close. 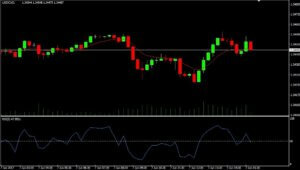 On the following day, the candle needs to be at least 10 pips or more below the low of the previous day and RSI needs to be below the 50, then you can enter. To avoid losing trades where possible, it is always better to trade in the same direction of the trend. If you use resistance and support lines, you can also get an idea if the price level will hold or if there may be other factors at work that can affect it. You can also cut out on losing trades by ignoring the signals that do not follow the current trend. 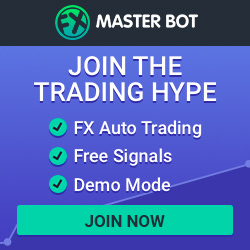 One of the detriments of this system is the length of time to wait before being able to trade, up to 2 days or more to check if the trend is stable before trading. There is also no guarantee that even after the wait you are not entering just before a retracement. This strategy does ignore the trends to a degree, but you should ensure that you only trade with the trends and not against them to avoid losses. This strategy is easy to understand and use by anyone and it is easy to follow and remember the rules. Trading with the trend when using this strategy means you can get some good signals in the trend direction due to the SMA which is a trend identifying indicator. The RSI helps you confirm the information you need to trade. This 5×5 strategy is a good start for a trading template and adding in an indicator of your choice will help you trade binary options with this system. It is important when trading to try and keep things as simple and uncomplicated as possible. The 5 RSI and 5 SMA that you work with in this strategy are good enough to start with. If you add in resistance and support lines you can improve the system and help you find your way to more profitable trades and fewer losses. Or look at adding in a Stochastic Oscillator to help find the resistance and support areas easier. Having to wait for days to obtain a signal with this strategy may be off-putting to some traders, but there are ways to use this strategy for lower expires. When trading on less than 4 hour expires, waiting for moves of 10 pips or more can be a problem before entering so you might not want to wait that long. Wait on a candle to close in the direction you are trading in, check the S/R lines and check the RSA is still below 50 for 4 puts and candles are still below the 5 SMA. Check the S/R lines for confirmation before trading.